Supporting breastfeeding in times of disasters is necessary to ensure both the health of babies and the welfare of their nursing mothers. Evacuation centers must provide an environment conducive for continuous breastfeeding, as well as mother- and child-friendly spaces. This is mandated by law under the Children’s Emergency Relief and Protection Act (RA 10821) which I authored, and the Philippine Disaster Risk Reduction and Management Act (RA 10121), where I introduced gender provisions. 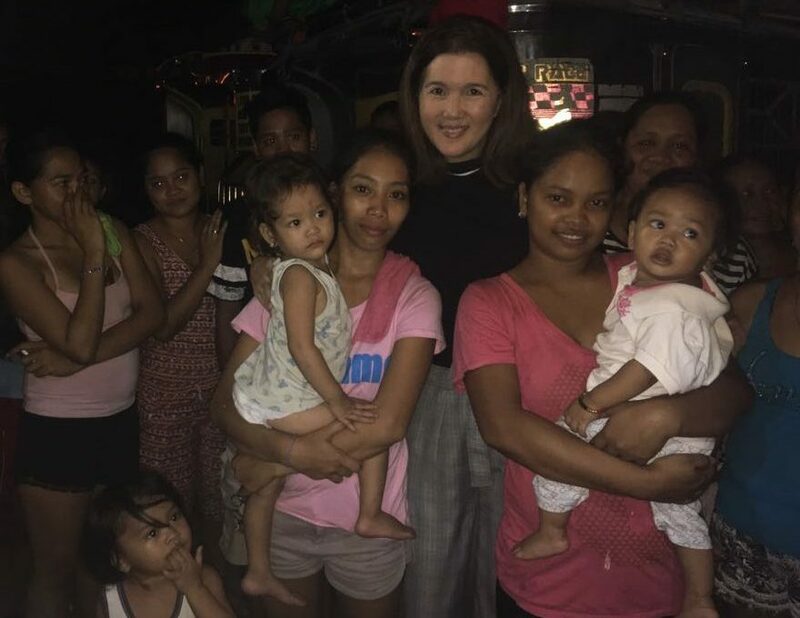 It was encouraging to see these breastfeeding mothers at an evacuation center in Barangay Fort Bonifacio, Taguig City. Their houses were among those razed to the ground in a recent fire. As an advocate, I always include breastfeeding in my talks and conversations with mothers. I’m so proud of these mothers who still chose to breastfeed during this difficult situation, which is sometimes easy to overlook, especially when there’s an influx of donated food products. Mother’s milk will always be best for babies. And the proper thing to do is to ensure proper food and nutrition for mothers, which would enable them to continue breastfeeding their young.